Have you heard of Epic Privacy browser yet? If not, you must by now. One of the best browser from an Indian origin founders. Epic Privacy browser which launched on 29th August 2013 is the latest chromium based browser which has considered all kinds of privacy concerns. Epic browser was first launched on 15th July 2010, that was a bulky browser with lots and lots of features on the browser itself. But this time the browser has switched from Mozilla Firefox to Chromium and is very light and loaded with almost nothing which can track your data. The primary focus of the Epic privacy browser is to keep the users info and data fully private and protected from the vulnerable internet structure. On browsing through Epic Privacy browser you are not leaving any trace of your surfing activity to any of the site, even if they try it through cookies or session tracking. Epic browser provides a one click facility to switch to proxy server which is powered by Spotflux. Through this if you are surfing from India or any other country and you don't want your I.P to be tracked, you can hide your original I.P through this browser itself. Epic also don't allow to pass referral header, thus your search history or keyword history is not provided to any third party. Epic Privacy browser is almost like browsing in a private mode. Epic don't save your password, history, caches or any information about you on the browser, which may be taken up by any third party. Epic has a facility to erase all the session history as soon as you exit the browser. Epic Privacy browser not only prevent your information to be leaked through your browsing history or activity, but it also ensures that you don't get misguided through alternative suggestions and URL tracking system. If you need a pure private browsing without leaking any kind of info through your browser, giving a try to Epic Privacy browser don't seems to be a bad idea. Epic Browser and now the Epic privacy browser has been developed by hidden reflex an Indian company, which is headed by Alok Bhardwaj. 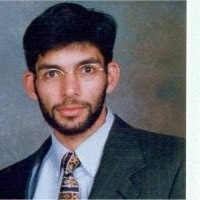 Alok Bhardwaj born and brought up in US (Texas and Virginia, Kansas), earned degree in Philosophy from Princeton university,worked as an Equity researcher, Investment banker,Teacher, researcher and then came to India and founded Hidden reflex which is headquartered in Bengaluru area,India.